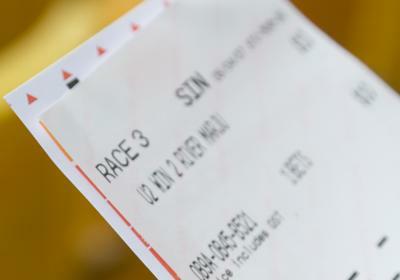 The Gambling Commission has informed bookmakers that they need to ensure that they’re playing fair over their use of the Rule 4 deduction. The announcement came in the wake of an investigation into what has become known in the industry as the ‘Back Dave Incident’. The Commission released a statement saying that they’d previous expressed concerns about bookies misusing Rule 4 in order to make ‘commercial gain to the disadvantage of customers’ and now that their investigation was completed they felt confident in suggesting that Ladbrokes had done exactly that. You’ve placed a bet on a race running at Aintree that has three horses and the one you’ve bet on is priced at 5/1. One of the other horses, which was 7/4 with the bookies, pulls out of the race just before it’s due to start, turning into a two horse race. The chances of your bet winning have increased from one in three to one in two, meaning that your 5/1 odds aren’t a fair reflection of how the race is likely to go. In the example I’ve given above, the horse that withdrew had odds of 7/4, meaning that you’ll lose 35p from every pound that you’d win. Let’s say that you’d bet £10 at 5/1 and your horse won, that would ordinarily see you receive £50 in winnings. However, because of the reduction through Rule 4 you’ll only actually get £32.50. Now that you understand more about how Rule 4 works it’s easier to see why it’s relevant in the case of the Black Dave Incident. 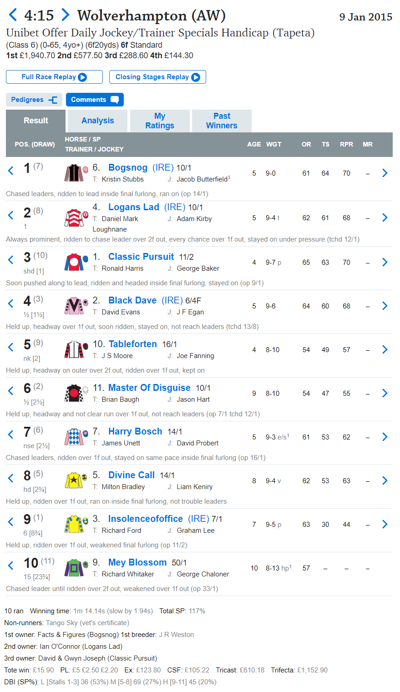 In January of 2015 a horse named Black Dave was running in the six furlong handicap race at Wolverhampton and his trainer, David Evans, placed a bet on him to win with Ladbrokes. He also informed the bookmaker that another of Evans’s horses, Tango Sky, wouldn’t be taking part in the race. The horse had been given odds of 7/2 but when Ladbrokes found out it wouldn’t be running they reduced him to 3/1. As you can see in the list above, that meant that the Rule 4 deductions from customers’ winnings shifted from 20p on winning bets to 25p, meaning that Ladbrokes made more money back and paying customers lost out to the tune of an extra 5p in every pound. That was seen as problematic for the Gambling Commission on account of the fact that Ladbrokes had deliberately shortened the Tango Sky price for ‘their own commercial gain’. The Gambling Commission also felt that Ladbrokes had not appropriately reviewed all of the information that they had available to them before giving their explanations for the event to the Commission, with those explanations also proving to be ‘inaccurate’. As for Evans, the British Horseracing Authority fined him £3,000 in 2017 and £140 for not informing the Racing Calendar office as soon as he knew one of his horses wasn’t going to be running. Both the BHA and the Gambling Commission were keen to ensure that the industry continues to be ‘run with integrity in all aspects’. The Black Dave Incident took place before the Gambling Commission had informed bookmakers that they would be keeping an eye on how they dealt with Rule 4 deductions and it also happened before the Ladbrokes-Coral merger had been completed. They declared that they’d cooperated fully with the investigation and the company would ‘never knowingly shorten the price of a non-runner’ in order to benefit from it financially.